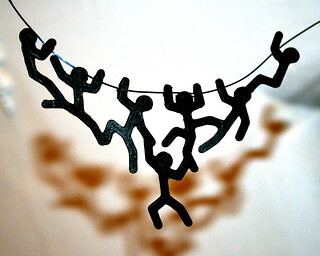 On Saturday, I 3D printed this stickmen necklace I found on Thingiverse. (Design by skarab: StickMan's Necklace). I actually printed it in white PLA and then painted it black, and added a bit of Sugru where the holes were a bit messed up, to thread the wire through. Oooh, I really like that.